Last weekend the whole Peppersmith team were at Balance Festival, a weekend event in London for the world of healthy products, fitness and yoga. Laden with mints and gum, our main aim of the event was to introduce Peppersmith to more people, and to get them to make the switch from their conventional gum to the best gum in the world. (That’s ours by the way). We did this by introduing something called the ‘Pepperswitch Gum Amnesty’. What exactly is a gum amnesty? The gum amnesty allowed anyone at the event to swap their pack of [inset brand name here] gum from their pockets for a free pack of Peppersmith. It was a hit. We collected a whole tub of conventional gum, and in return they were introduced to a new, better gum. We find that people often buy mints and gum out of habit, so we wanted to do something to make people think about the ingredients in what they usually buy. It was also a chance for people that don’t know us to try us for free. Win-win. But what about all the gum you collected? Good question. As you probably know we try our best to be a little team of eco-warriors here at Peppersmith so just binning the conventional wasn’t an option for us. 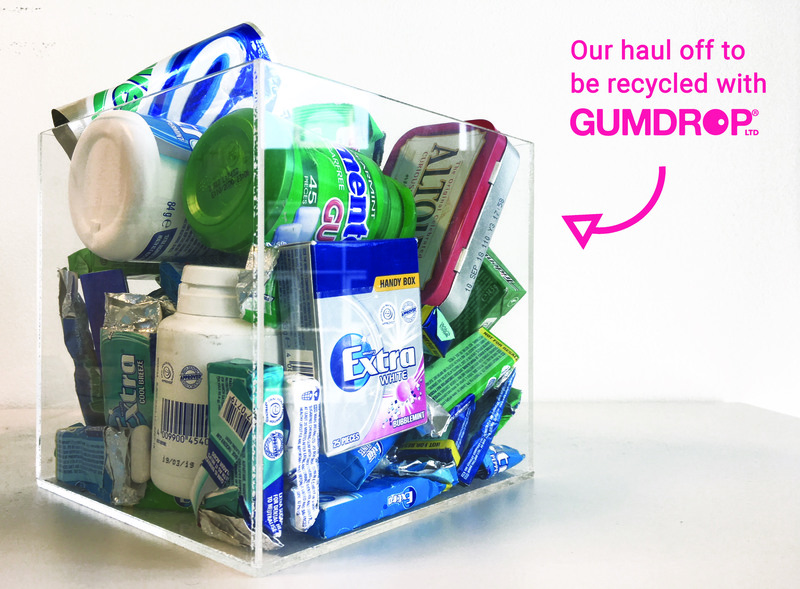 Luckily, our friends at GumDrop can recycle chewing gum and turn it into new reusable things, like mini street bins to collect more waste gum in, or real life gum boots. You can find out more about GumDrop’s work here. The post Balance festival: The Pepperswitch gum amnesty appeared first on Peppersmith.